We live and work in Montréal, the 2nd largest French-speaking city in the world. 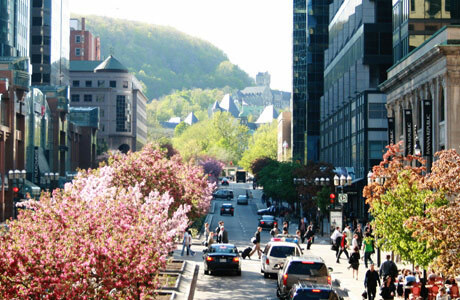 Montréal is a vibrant, culturally-rich city, and living here is one of the great things about doing science at McGill. Most students and postdocs live directly downtown in a student neighborhood 5 minutes from campus on foot. Every neighborhood in Montréal has small bakeries offering unbelievable desserts, baguettes, and other tasty morsels. There are exceptional restaurants for every flavor, especially French-inspired "nouvelle Québec" cuisine. 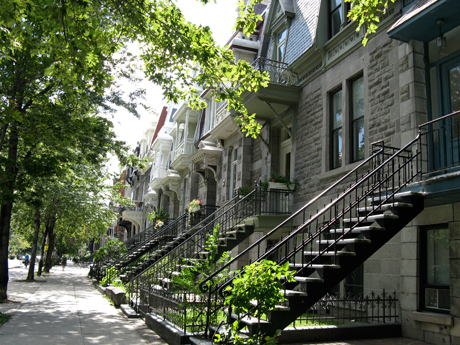 The city is known for its annual jazz festival, the Festival International de Jazz de Montréal. The city is also home to a vibrant indie rock scene and the Grammy-winning band Arcade Fire. The city features an exceptional network of bike lanes and a bike-share program, Bixi, that has been exported world-wide. The bike advocacy group, Copenhagenize, ranked Montreal as the most bike-friendly city in North America, scoring it at 8th worldwide. Many of us commute to work by bicycle as an easy and convenient way to get around town (well, except in January, of course! ).